I have more than one athlete. 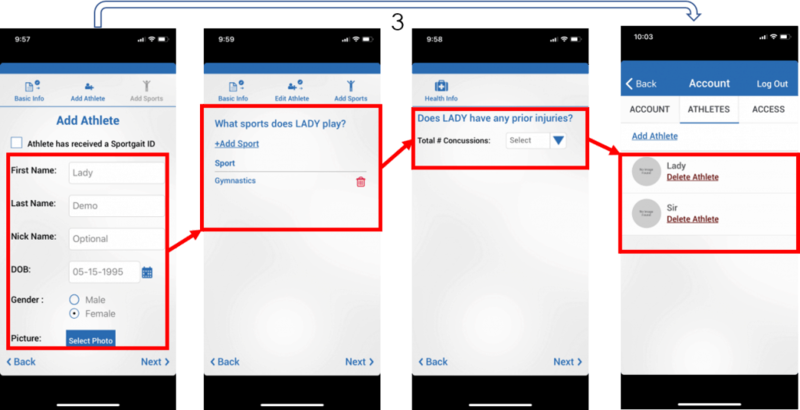 How do I add another athlete to my SportGait Mobile account? You may want to add more athletes to your account. This can be done in the athletes tab under “add athlete”. Then you can enter in their information and concussion history the same away you did for your first athlete. 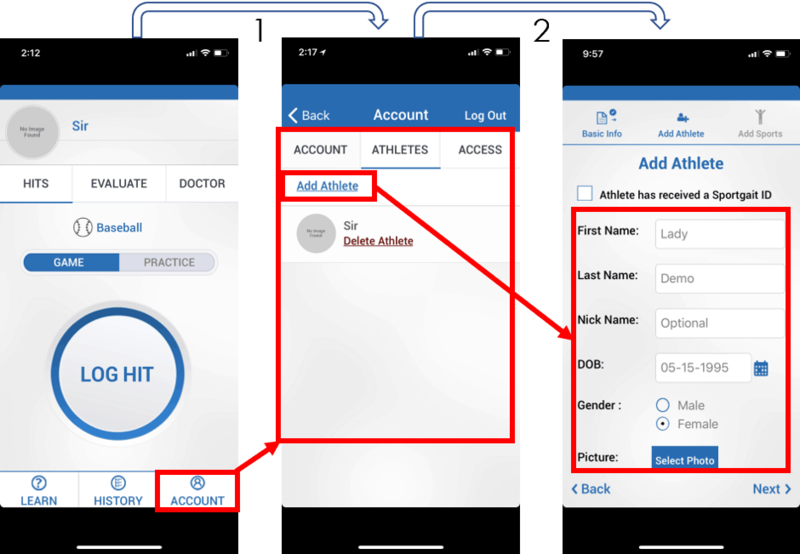 This way you can keep track of all of your athletes in the same place. 1. Select the “Account” tab. 2. Select “Athletes” tab and click ”Add Athlete”. 3. Enter in athlete Info, the sport they participate in, and if they have received any concussions in the past. You have now added an athlete to your account.